The crackdown at Kirti monastery in Ngaba, Sichuan, continues today in the aftermath of the deaths of two Tibetans in their sixties attempting to prevent monks from being taken away from the monastery by troops. Below is an article published by: International Campaign for Tibet. The Chinese state media released a statement today acknowledging that a Tibetan woman died but saying that claims that they were killed by police are “fictitious”. 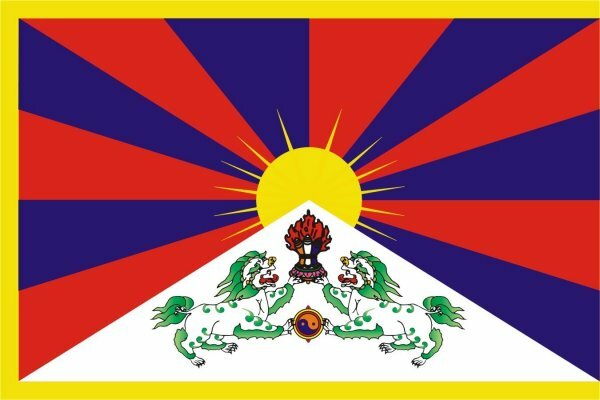 The official report, which specifically referred to the International Campaign for Tibet, is part of a pattern of contradictory statements from the authorities made in an apparent attempt to mislead international opinion on the crackdown and present the situation in the area, which was closed to foreign visitors last week, as “normal." Powerful footage from Ngaba broadcast by VOA Tibetan Service, the BBC and other networks last week depicted the buildup of troops, detentions of Tibetans, and the aftermath of 20-year old Kirti monk Phuntsog's self-immolation on March 16. (http://savetibet.org/media-center/ict-news-reports/dramatic-new-footage-reveals-ngaba-crackdown-refutes-chinese-claims-normal-life). According to exile Kirti monks, surveillance cameras have now been installed in the monastery as well as outside, and monks are still under lockdown. There is a climate of fear in the area and disappearances are continuing. In an official statement released today in English (http://www.china.org.cn/china/2011-04/29/content_22463668.htm), the state media claimed that the reports by the international media citing ICT on the deaths of the two Tibetans were “fictitious” and that an “86-year-old female herder died of lung disease at her home in Aba Tibetan-Qiang Autonomous Prefecture." There is no further information on the whereabouts of more than 300 monks who were detained last week by armed troops, nor are the whereabouts known of other Tibetans detained when trying to prevent the monks being taken away on the night of April 21-22. A 30-year old detained monk called Jigme from the pastoral Machu (Chinese: Maqu) area in Kanlho (Chinese: Gannan), Gansu, was brought back to the monastery dressed in lay clothes on April 24 for his photograph to be taken by security personnel, and he was then taken away again. There were rumors that a visit of high-level officials to the area might be imminent as the police appeared to be attempting to remove evidence of the crackdown, such as the dismantling of temporary military accommodation and tents from the area around the monastery, even though the troops themselves were not withdrawn. Since the beginning of the crisis in Ngaba, in the Tibetan area of Amdo, the authorities have sought to impose an intimidating climate of fear and to prevent any information from the area reaching the outside world. At the same time, a series of official statements have been released to the media in English that have sought to distort international opinion and coverage. Often this commentary has been contradictory. For instance, according to one official statement, only a few monks are responsible for “disrupting social order”, but according to another, there are “problems” beyond those few monks. Foreign Ministry spokesman Hong Lei told reporters on April 19: "In recent days, a small number of monks in Kirti Monastery in Aba county, Sichuan have disrupted social order and disobeyed Tibetan Buddhist rules.” In a circular issued on April 22, the local Aba county authorities said that the decision to give monks at Kirti “legal education” “was made in light of the ‘problems’ in the monastery as well as illegal activities committed by some of its monks over the years.” (http://usa.chinadaily.com.cn/china/2011-04/23/content_12380517.htm). Although the authorities have claimed as above that the “trouble” is confined to Kirti monastery, the entire region was sealed off from April 21, with foreigners already in the area being urged to leave. The travel ban was announced in a notice by provincial public security authorities issued on April 21, and covers various Tibetan areas of Sichuan (northern Kham and southern Amdo) including the Tibetan area of Kardze (Chinese: Ganzi) and counties in neighboring Ngaba prefecture (http://www.xcar.com.cn/bbs/viewthread.php?tid=14476990&extra=page%3D1&page=1). No explanation was given for the ban. 589.html). On the same day, the Guardian cited an article released by the state news agency Xinhua on its news wire (but not its website) stating that believers and vehicles were freely entering and monks could be seen outside. According to The Guardian, the report, headlined "Life normal in Tibetan Buddhist monastery in south-west China", quoted a member of Kirti's management saying it had ‘long ago formed a joint patrol team [with police] to prevent unspecified people from entering’. He added that ‘there couldn't be any beatings’ as staff at the entrance were very friendly.” (http://www.guardian.co.uk/world/2011/apr/18/china-police-blockade-tibetan-monastery). In exile in Dharamsala, India, Kirti monks embarked upon a journey to Delhi in order to draw international attention to the situation in Ngaba. Monks set off from Kangra in Himachal Pradesh on Wednesday (April 27) chanting prayers and talking to local people in Hindi and English about the reasons for the march.